Honeycomb blinds are specifically designed to impart beauty and provide energy efficiency in both warm and cold climates. Its honeycomb built traps air in different pockets to create insulation. This helps in lowering your energy consumption, thereby reducing your energy bills. As it provides extra insulation, it makes a perfect choice for doors and other big windows that require added insulation. All these factors make honeycomb blinds an innovative solution that offers great flexibility and insulation. At Blind Concepts, we provide an expansive range of honeycomb blinds online. The honeycomb blinds are of top choice for skylight and specialty windows such as circles, arches and sidelights. Featuring a hollow center, some of the honeycomb blinds also have double internal cells. Designed for vertical applications, you can either cover your entire door with a single blind or use separate blinds which can be operated independently. Also known as cellular blinds, these are known for their insulation properties and energy efficiency. Some of our cellular blinds online have breakaway cords, which makes them child safe. These breakaway cords prevent children from getting hurt. It is designed in a way such that, if a child gets caught in the cord, the cord will break off keeping the child safe. Furthermore, these automatic blinds can also be adjusted to get the view of your outside surroundings without letting nosy neighbours taking a look at your indoors. This makes it an ideal choice where privacy and insulation are required without sacrificing much on the light that comes inside. Bedrooms, street level windows and bathrooms are the places where these blinds make the best option. Honeycomb blinds will keep your place cool in summers and warm in the winters. This makes them a great choice throughout the year and also reduces the need for air conditioning. Whether you want an all year round blind or a blind to add a cozy feel to your indoors, our range of honeycomb blinds online will serve the purpose. 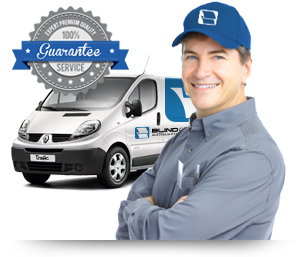 At Blind Concepts, we have been offering top-quality blinds, awnings and outdoor curtains to numerous clients across Australia. If you have made up your mind to install honeycomb blinds, then just get in touch with us right away. You can call us on 03 9720 1778. Our professionals look forward to assist you.